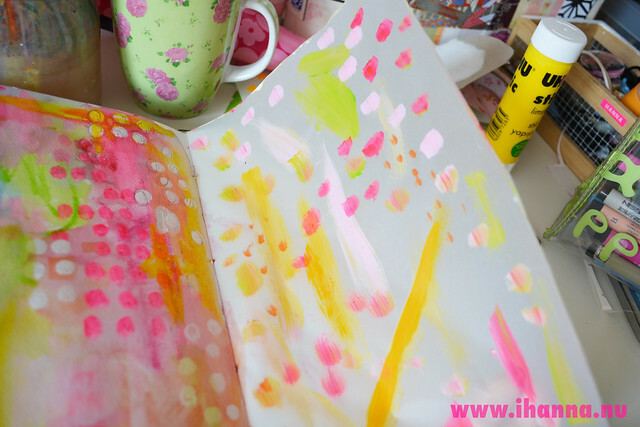 When you work in book format, like an Art Journal, or any notebook, each page is a creation on its own. You can tear it out and frame it if you want to, but the point of it is not to display it. The point of it all, is the act of making it. Sometimes it is a lot about moving on from there to the next thing. Sometimes it is about finding enjoyment in what you just made. Being content with how pretty it is. Saying it is not hybris, at least not for me, it is love. Love for these colors, patterns, brush strokes, ideas, words, the world. And yourself. I will follow that feeling now. 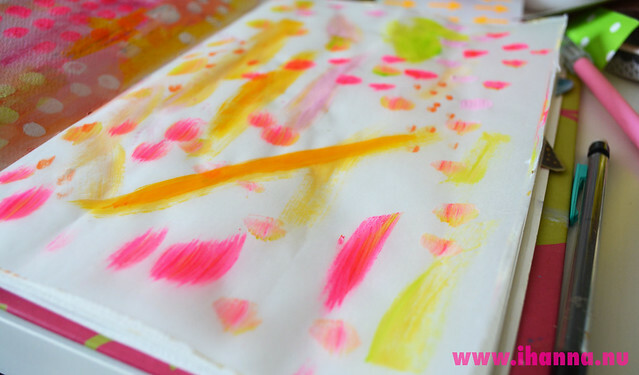 Painting in my art journal, on vellum. Yum. What do you think? I think the questions “Is what I create art?” and “Can I call myself an artist?” occur to most of us at some stage. Recently someone has called what I do “your crafts” and another as “you art” and I guess they’re both right. When I was buying some art supplies at a big stationery shop I was asked if I was an artist and I said I was just to try the label out for size and for me, I don’t think it fits yet. If someone else considers my work art, fine and I’ll happily accept it but really, what I do is just muck around with art supplies (and other bits and pieces) because I can’t not create. “True art is characterized by an irresistible urge in the creative artist”….Albert Einstein. Sounds like you must be an artist!! 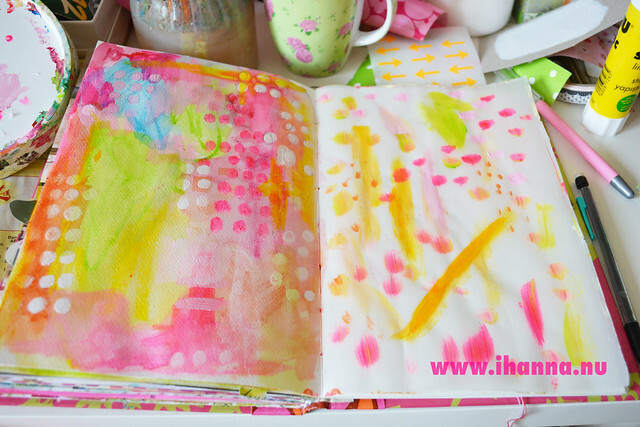 Love this too, i’ve just been inspired to go add hot pink to my journal, love your colors!